Police fired a taser at a man who was holding a knife to his own throat. 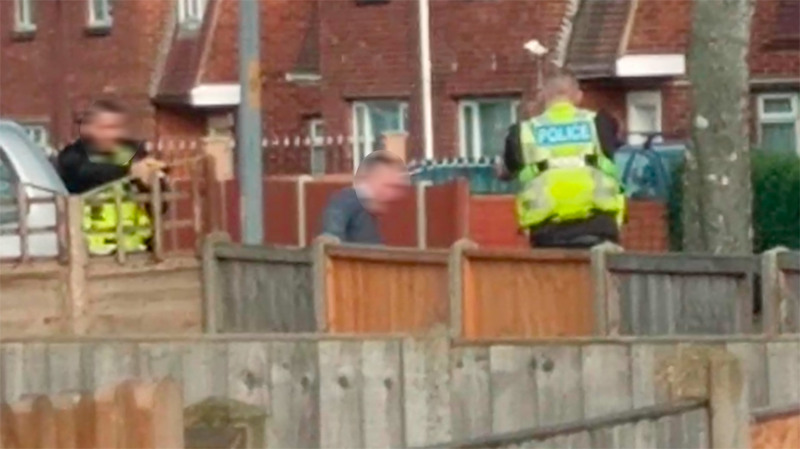 Residents looked on in horror when a man who was holding a knife to his own throat in the street was fired at by officers with a taser. Police were called to Tower Avenue at around 12pm on Sunday, December 18 after reports that a man was in possession of a knife. Officers with tasers were deployed to the scene under the advise from the force control room that the matter was one of public safety. The man was traced to East Liberty where he was holding a knife to his throat and threatening to harm himself. Police say officers used their tasers after a warning to drop the weapon was ignored. He was shot with the taser after failing to drop the knife. The man in his 20s was arrested for affray and remains in custody. There were no injuries to the man or officers. A Lincolnshire Police spokesperson said: “Like all police services, Lincolnshire Police continually assess the threat against the local community, officers and staff and will take appropriate action to protect them.